This app will add support for devices made by Steinel. 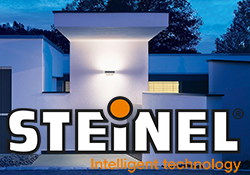 anybody who have tried the z-wave enabled LED lights from Steinel? E.g. the outdoor lamp 810? It should be possible to create an app for it based on the information listed on the product certification page..
Plan to order one - we could team up on making an app? better than a fibaro motion sensor i think! I don't have these lights myself; all devices are however from Z-wave perspective similar. So if someone is able to test this app with one of these devices, I'll have the info to release it to the app store. @cbh is planning to do so with the Output light. 2) ain't at home most of the time the next ten-something days. Merged the original topic into a new app specific topic in Apps section. i will order the motion sensor in the future now there is the app by you! but thank you very much, now i know what comes next! Anybody already having a Steinel Z-wave sensor / light that is able to test the app? The motion detector is exactly what I was looking for for my new house! Was at first thinking either a KAKU one (but that runs on batteries) or a normal 'Gamma' one and hooking it up to a fibaro binary module. I think I will order the motion detector and test it so I know it works before we move in. Will keep you informed. Also the floodlight looks very nice. @Julian would be great if you could test the Steinel app. Can you contact me on Slack to discuss results / details? Luminance and motion are reported, light can be switched and dimmed though Homey. I recently bought the XLED Home 2 FloodLight Z-Wave and currently using it as an generic z-wave device which gives the basic functionality but need to use the raw configuration which ofcourse works, any idea when your app will be in the Athom App store ? Please note, re-inclusion is required to get this version working... this version should provide all options.